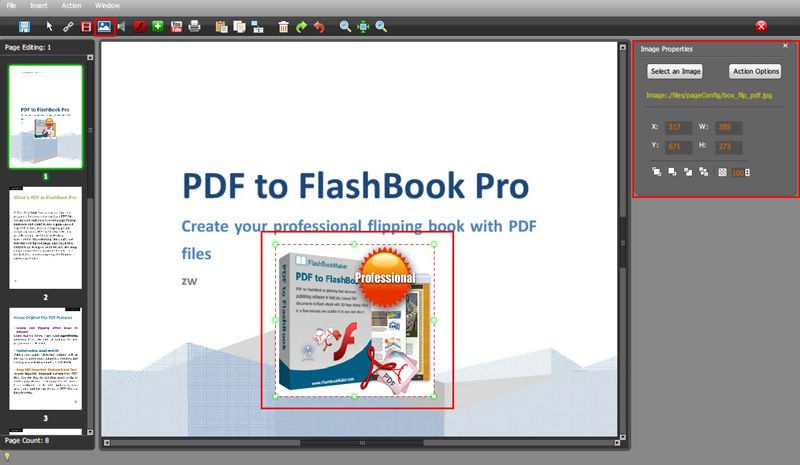 Q: How to embed an image file to the flip booklet? Step3: look at the right side window; click “select an image” button to select an image from your computer. Click “action options” button to customize additional options. Save and quit when finished.